There are beautiful views, and there are stunning views – the kind that make your eyes widen, your mouth gape and your breath catch in your throat. 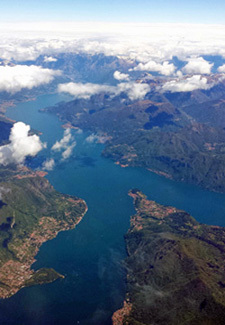 Our first glimpse of the Italian Lakes, as our plane descended through the clouds to reveal a swathe of forested slopes and shimmering water, was most definitely the latter. Things were just as impressive down on the ground, around Lake Garda – the focus for the first two days of our trip. It’s the largest and most easterly of the lakes, flanked by mountains and plunging cliffs. The prevailing wind creates perfect conditions for sailing and windsurfing, and there are plenty of buzzing resorts (Riva del Garda, Malcesine, Sirmione) along its shores. We headed first to Vivere Suites, set on a working vineyard in the town of Arco, just beyond the northern tip of the lake. It’s a sleek cube of concrete and glass, with 6 minimalist suites and an indigo pool gazing out over rugged peaks. It was a great place to recover from our crack-of-dawn flight, and we spent a lazy evening listening to crickets in our private garden (every suite has one) while munching our way through a pizza delivered fresh from owner Edy’s nearby restaurant. 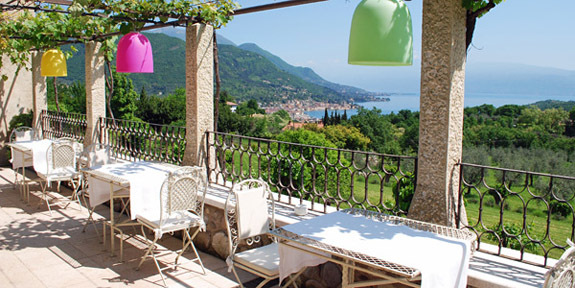 From Arco, we headed down the western shore, where we couldn’t resist stopping for lunch at a long-standing i-escape favourite, Villa Arcadio. It was a meal to remember – and not only because of the food. Our zingy tomato and basil soup and spaghetti with delicate lake fish were accompanied by yet another spectacular vista – this time over orchards and fields to the vast expanse of the lake glittering on the horizon. We also found time for a quick visit to Salò. This charming lakeside town has a chequered past (it was the seat of Mussolini’s puppet Second Republic in 1943), but today it’s a lovely place to linger. We treated ourselves to a gelato on the quayside as a family of ducklings waddled past, then browsed a couple of boutiques and peeked inside the art-filled Duomo. Our base for the second night, Hotel Bella Riva, straddles land and lake just a short drive from Salò. 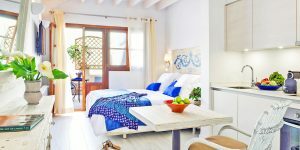 This grand old villa was built in 1904 for the European aristocrats who once flocked to these shores; today it’s a haven of contemporary style, with everything you need for a hassle-free holiday (restaurant, pool, bikes to borrow, even a jetty for private boat tours). We particularly liked the swanky bar, which juts out over the water, and spent a happy couple of hours sipping sunset cocktails as rowers glided past the window. 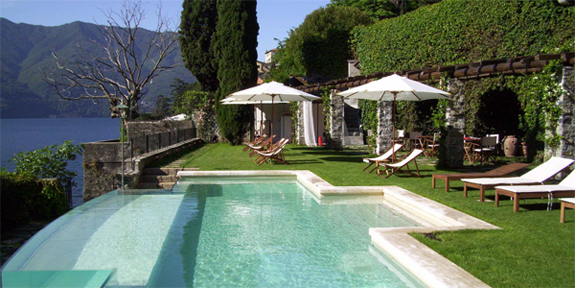 Next, it was over to Lake Como for a visit to Relais Villa Vittoria. Y-shaped Como is an entirely different affair to lively Lake Garda – more sedate, more seductive – and this romantic retreat is the perfect place to soak up its beauty. 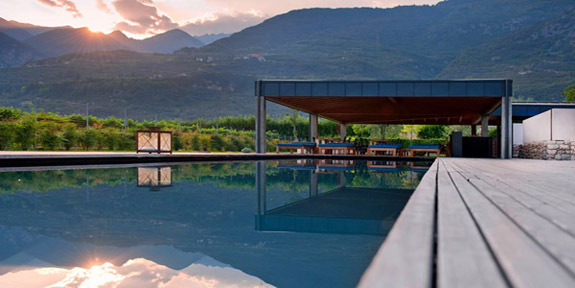 Set right on the lakeshore in the little village of Laglio (home to a certain Mr Clooney), it has gorgeous gardens and a wonderful infinity pool. Our stay coincided with a heavy downpour, but we spent a lovely afternoon wallowing in the indoor Jacuzzi as the mist rolled in. We also enjoyed one of the best meals of our trip in the hotel’s bistro – tuna carpaccio, baked tomino cheese in a rich balsamic reduction, a tender rack of lamb with rosemary potatoes, and desserts of orange-scented chocolate mousse and a white chocolate and mint semifreddo; all lick-the-plate-clean delicious. 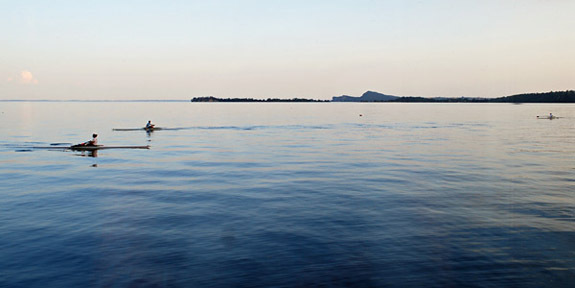 We’re already dreaming of returning in sunnier weather and taking Villa Vittoria’s boat out for a spin on the water. But as we discovered on the last leg of our trip, the lakes aren’t the only attraction in this beautiful corner of Italy. To the south, the mountains give way to lush lowlands laced with rivers and canals, where we found the little town of Valeggio sul Mincio and a rather special B&B. 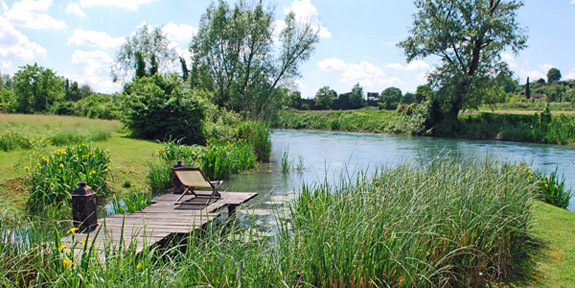 Wrapped in meadows on the riverbank, La Finestra Sul Fiume is an excellent base for exploring the nearby city of Verona and its equally beautiful but lesser-known neighbour Mantua – or for lounging by the water and doing very little at all. We used our brief stay to indulge in the area’s culinary speciality: wafer-thin tortellini pasta, said by Valeggio residents to have been inspired by a love knot created by a soldier under the thrall of a nymph. We discovered more unspoilt scenery to the north of Verona, in the Valpolicella wine region – famous for its excellent vintages yet barely touched by tourism. We were soon enchanted by the green valleys, terraced slopes and sleepy medieval villages, and by our final base, Pianaura Suites. This bijou B&B occupies a pair of hilltop towers which have been beautifully restored by owners Mara and Filippo – one is now their dream country home; the other, a guest block with 2 spoiling suites. 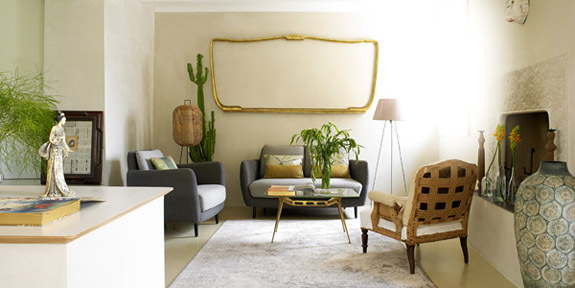 Everything has been designed to make you feel special, from the stylish mix of contemporary furniture and flea-market finds, to the free carafes of local wine and the tail-wagging welcome from golden retriever Seta (our new best friend). We spent our time lazing in the garden, which bursts with lavender and poppies, and sampling wonderful food in local restaurants (our top tip: a rich, ruby-red risotto made with Amarone wine, whose grapes are aged before fermentation). We returned home the next day with happy bellies, several memory cards’ worth of photos, and some fantastic new gems for i-escape’s Italian portfolio. All in all, a very successful trip. 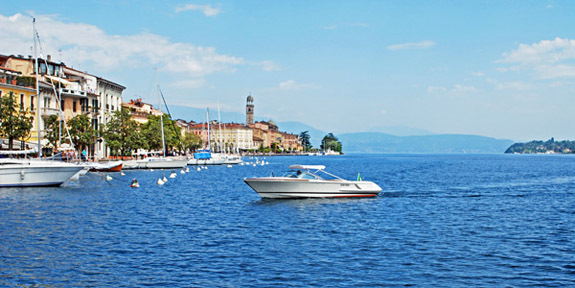 See our destination guide for more information on the Italian Lakes and places to stay.